The interconnectedness of the world’s fintech communities was the focus of the Innovate Finance Global Summit in London last week. With more than 30 countries represented, and in excess of 2,000 people in attendance, the main topic of discussion was how these international fintech hubs could better work together. It was a marked change from last year, where there was a focus on promoting London and the United Kingdom as the leading fintech hubs. This year, representatives from India, New York City, Singapore and Abu Dhabi – all of which have made important strides in building up their fintech exposure – were taking part in the conversation about the growing influence of these regional hubs. The first regulatory sandbox, or testing environment, is already taking its first steps. Rolled out in the UK last year, it has just announced the 18 startups, with projects that range from finance, to debt management, insurtech or blockchain, that have been admitted to take part in the pioneering development program. Another key area up for discussion was the ability of regulators to help foster innovation. At last year’s summit, the U.K. regulator announced the launch of the world’s first regulatory sandbox. One year later, there are an impressive 16 regulatory sandboxes being built across the globe and half of them are already up and running. Meanwhile, the UK regulatory body announced it will soon be reviewing 31 companies in the second cohort of companies in the sandbox, compared to the 24 that took part in its first cohort. Twelve-months ago, the U.K. government announced the creation of FinTech bridges, which are cooperation agreements that enable regulators to share information about financial services innovations in their respective markets. The first one was between the U.K.’s Financial Conduct Authority and Australia’s Securities and Investments Commission. Since then, a total of 13 countries have gone on to sign cooperation agreements, including Singapore, which has signed eight, followed by the United Kingdom, which has signed seven. Also, for the first time, a day-long conference was held exclusively for international regulators to focus on and discuss the subject of fintech. Perhaps the most important feature of the summit was the diversity in the technology being developed and discussed. The topics addressed on stage went beyond the ever- popular ones of blockchain, challenger banks, and robo-advisors. 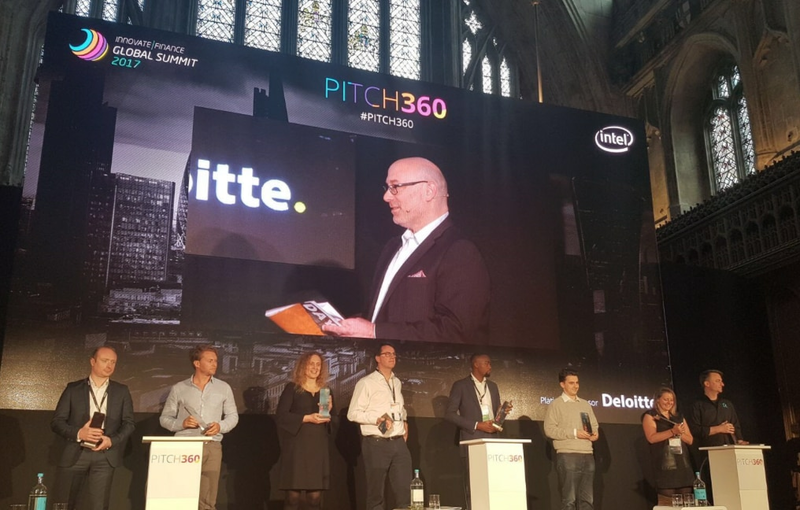 For example, the Pitch360 competition featured fintech companies from a wide variety of categories, including Artificial Intelligence, Global Financial Inclusion, Cyber Security and Distributed Ledgers. The Innovate Finance Global Summit is now truly a global event and is becoming an increasingly important arena for global collaboration amongst governments,regulators, firms and startups. Last year the conversations planted seeds, this year they grew into seedlings… how big will they be by next year?